Fans on social media were unsure about the decision to run an IndyCar road race when it was initially announced. For some of the old timers, it was viewed as messing with tradition. The month of May is about the Indy 500 and to use the road course to start it off was viewed as heretical. For other fans, they grasped the vision of the decision makers and realized this could be the beginning of something big. I had the privilege of attending the inaugural GP of Indy and I think I witnessed the beginning of a new tradition at Indy. Any time the IndyCar Series has the Mazda Road to Indy with them, it’s a win-win for the Series and the fans. There is non-stop action out on the track and as a fan you get to watch the future of the IndyCar Series develop right before your very eyes. It’s important we support these young drivers with our attendance and encourage them along the way. As I drove to the track I could sense that it was race day. The parking lots already had fans there and although it wasn’t to the scale of the Indy 500, it was a very healthy turnout. The viewing mounds started to fill up early before the USF2000 race to ensure that they had the premium spot for the main event later in the afternoon. 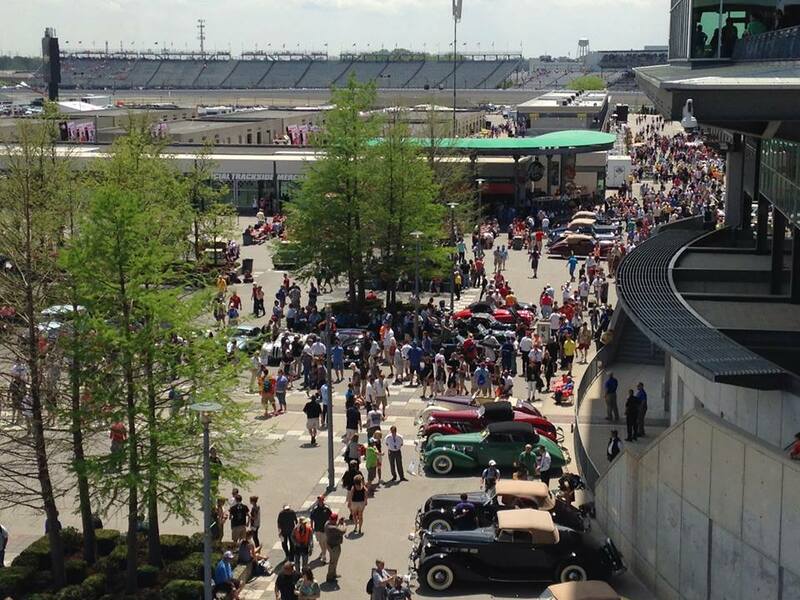 The pagoda plaza was a busy place the entire day as they had classic cars on display for the fans to look at. There were Auburns and Cords to Ferrari’s and Jaguar’s. It was also a new tradition to have the first standing start inside the famed brickyard. The cars did two warm-up laps and then lined up for the green light sequence. When it went green, everyone took off except the pole sitter, Sebastian Saavedra. Carlos Munoz was the first to hit him and then Mikhail Aleshin finished him off sending debris everywhere. 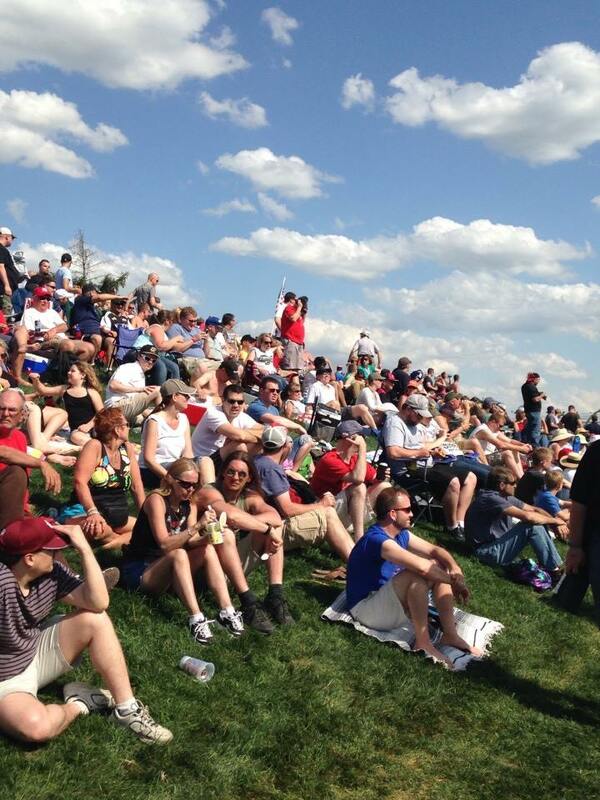 Here’s a video in case you missed it: Start of Indy GP. The race itself saw a little of everything. We found out that Jack Hawksworth can drive and is not intimidated by the big boys. We saw passes throughout the field which is a credit to the track changes that were made in the winter and spring. We saw different strategies being used, as well as, fuel strategy. There was also some carnage out on the track like many suspected. I happened to be back at the viewing mound at turn 7 and started videoing the restart and captured Martin Plowman’s wreck. It was spectacular and amazing that there was no significant damage to the car and the safety crew fired it back up without Martin losing a lap. Doug Boles did a fantastic job with the viewing mounds. I spent time at each one and they offered a great view of the action. It was surprising at how full each one was to the point they were actually overflowing with people. A decision was made to open up grandstand seating behind the pits down by turn 1 of the road course (pit exit) for those who had general admission tickets. I would encourage those of you who did not attend yesterday’s race to pencil it in for next year. It is a must see race!